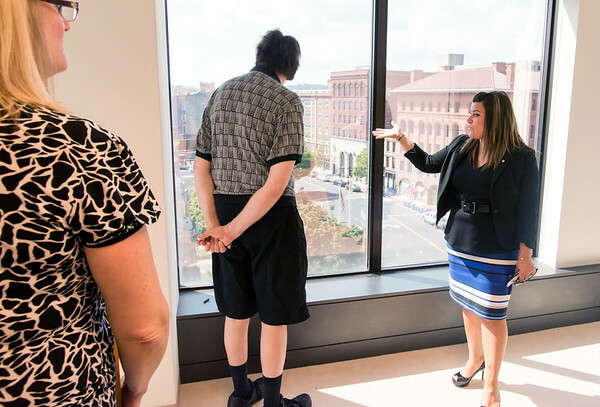 NEW BRITAIN - Community Mental Health Affiliates showed off its new downtown site on Wednesday with a tour of The Plaza building at 233-235 Main St. 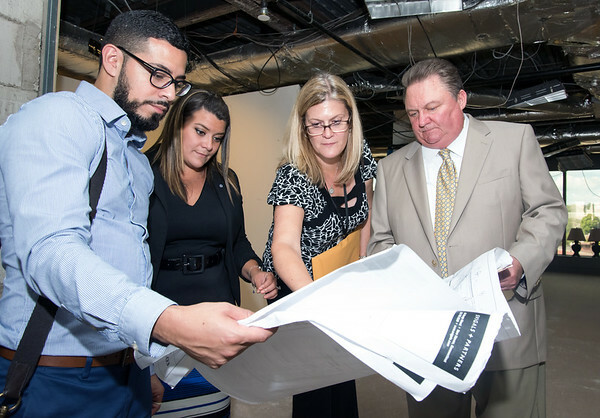 The organization plans to renovate the building to provide administrative and programming space for employees and clients. The organization’s headquarters are currently located at 270 John Downey Drive, but all operations will begin moving to the new location on Main Street by the end of December. “I think that having CMHA in the downtown area, having the added employees in downtown; it’s going to help us with everything that we’ve been trying to accomplish,” Mayor Erin Stewart said, adding that more people working in the center of the city is good for the local businesses and restaurants. The seven-story building has had several empty floors for almost 11 years. 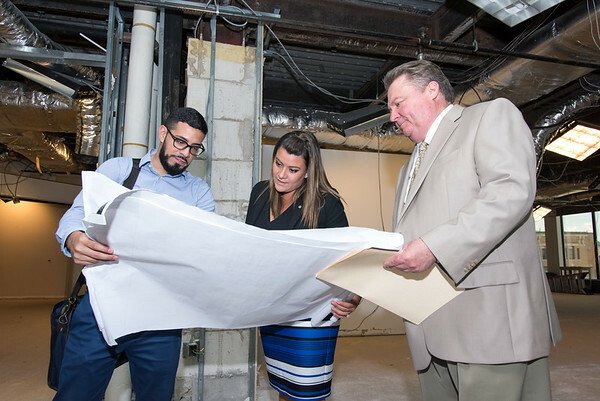 In 2016, the nonprofit mental health provider bought the old Mitch’s Place department store at 227 Main St. for $549,000 with the intention of transforming the building for its own use. But, after reviewing the potential cost of renovations, CMHA sought and received a $3 million grant from the State Bond Commission to purchase the 233-235 Main St. property. “We bought that building with the intent to move into it,” Ray Gorman, executive director of CMHA, said of the purchase of Mitch’s Place. 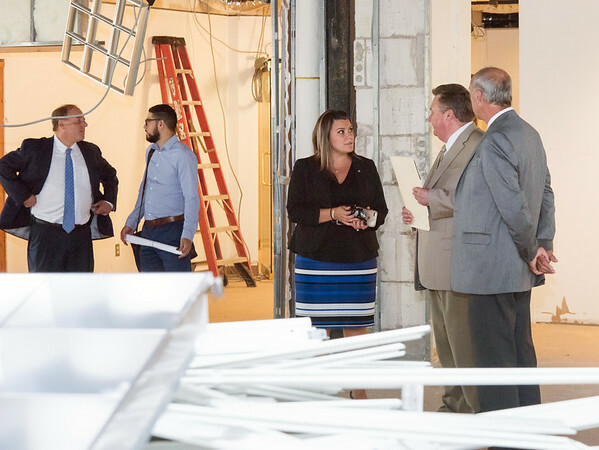 Gorman, CMHA board members and city officials toured the new building Wednesday afternoon, pointing out that the walls, windows and floors are in good shape. The nonprofit paid $3.4 million for the building and closed on the property Wednesday morning. CMHA is a nonprofit that serves more than 6,000 children and adults that deal with mental health and addiction issues. The John Downey Drive operation and a clinic at 125 Whiting St. will be moved to the downtown building. Gerry Amodio, downtown district executive director said when CMHA bought the Mitch’s Place building, he was skeptical about having the clinic in downtown, adding he thought the building would be more suited to retail and residential use. (See related story on A1 and below). Local business owners also expressed their concerns about having a mental health facility in downtown directly across from Central Park. 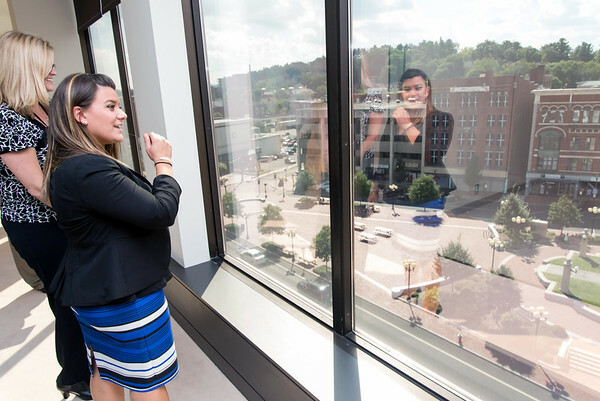 “Mental health has a stigma associated with it and that stigma is what came with the thought of the project moving downtown and it’s that stigma that we need to get away from. I think that we all could use a little mental health awareness and really the good that it would do for our community and for the residents that do need their help,” Mayor Stewart said. The new clinic will have space for some of the community-based programs, and there will be offices dedicated for the community support staff members that work in the field such as case managers, vocational and crisis intervention counselors. The first floor will have a community space. The Social Security Administration occupies the second floor. 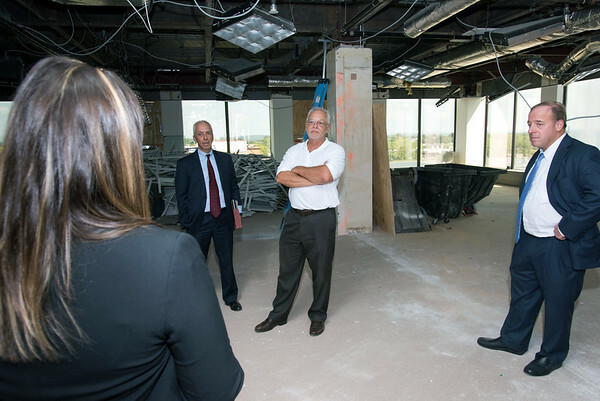 The clinic will take over floors three, five, and six, for patient services and day programs. The fourth floor is occupied by workers’ compensation. The seventh floor will be the main administrative floor and it will include the offices for the senior leadership, IT, server, training and meeting rooms. While the plans are in the very beginning stages, Gorman said that he would like to incorporate a community room for the use of small organizations such as the substance abuse and alcoholic anonymous groups. 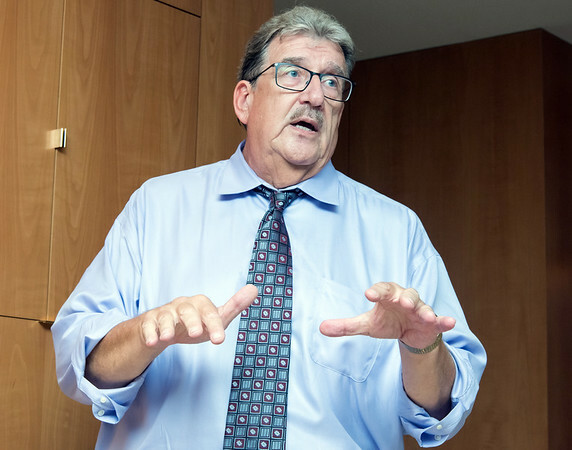 “We intend to keep those leases, as long as they are happy, we will be happy with them, they can stay there,” Gorman said of the Social Security and Workers Compensation offices. CMHA will also occupy the sixth and seventh floors, but this space will require some cosmetic work, such as carpeting, paint, and some bathroom and kitchen areas work for employees. The majority of the funding for the renovations will go to the third and fifth floors. “I’m waiting for cost estimates but from what I have seen we are probably looking at spending a minimum of $1.2 million,” Gorman said. While CMHA is nonprofit and will not pay taxes, the organization will make contributions to the city, Gorman said. Staff writer Lisa Backus contributed to this article. Posted in New Britain Herald, New Britain on Wednesday, 5 September 2018 20:13. Updated: Wednesday, 5 September 2018 20:15.